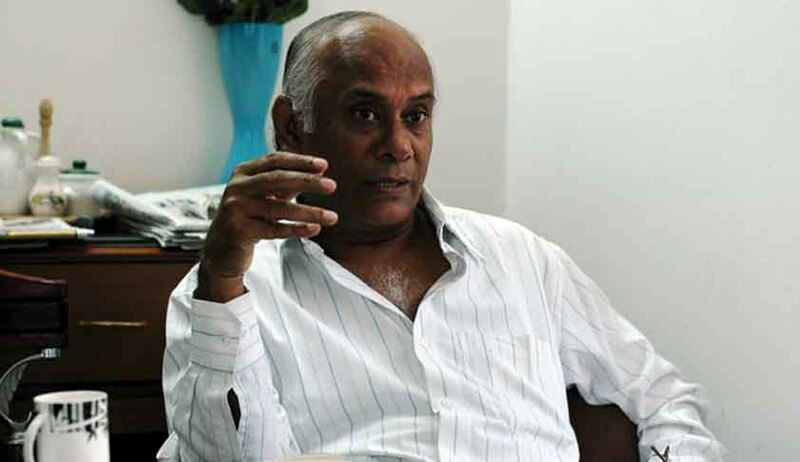 Mukul Sinha, noted human rights activist and lawyer, passed away in Ahmedabad yesterday, leaving behind unfinished battles for victims of the 2002 riots and an unbridgeable void in countless lives that he touched. He was diagnosed with lung cancer almost a year ago and breathed his last at the Sterling Hospital in Ahmedabad on Monday. He also played a vital role in the legal battle surrounding the four fake encounter cases, involving Sadiq Jamal, Ishrat Jahan, Sohrabuddin Sheikh and Tulsi Prajapati. His contributions to straightening out information on the Gujarat riots were recorded by Manoj Mitta, in his book The Fiction of Fact Finding: Modi and Godhra. Jan Sangharsh Manch, represented by Sinha, had valiantly sought evidence of the Guajarat bloodshed, before the Banerjee Committee. The plasma physicist, who had initially assumed the task of being the voice of the trade unionists, took on the perpetrators of the Gujarat riots through unrelenting cross-examination in the Nanavati-Shah Commission, plainly motivating the investigations into the Godhra train massacre and the communal riots that followed. His NGO ‘Jan Sangharsh Manch', which had been found under the umbrella of New Socialist Movement, originally fought for the cause of the laborers, taking up issues such as low wages of drivers and conductors of the city and state transport corporations. It was the riots, in fact, that pulled the man, who was thus far a labor campaigner and scientific researcher into the 2001 earthquake, into the meadow of civil rights. With an aim to contribute even more to the people, he also contested the Gujarat Assembly elections from Shahpur in 2007 and Sabarmati in 2012. He was an IIT Kanpur alumnus, starting his work from the Physical Research Laboratory (PRL) in Ahmedabad itself. After acquiring a law degree in 1989, he started striving to bring the under privileged to justice. He also launched the Federation of Employees of Autonomous Research and Development, Education and Technical Institutes (FEARDETI). In 2013, Sinha launched a website, http://www.truthofgujarat.com, to oppose the alleged half truths of the Gujarat government through reports, opinion and analysis that challenged the official version of the riots, encounters, the alleged snooping controversy involving Shah, and the “Gujarat model of development”. After his health deteriorated, his son Pratik took charge of Truth of Gujarat writing articles and supporting the lineage that his father had created with his sweat and blood. His wife, Nirjhari Sinha, is also credited with the detailed analysis of the call data records (CDRs) which exposed the roles of former ministers in the 2002 riot crimes. Rights activists and members of the legal fraternity paid reverence to the esteemed advocate at the office of his NGO in the Paldi area of the city. Even after joining the choir of heaven, he contributed to the society. His body was donated to a medical institution in the city, as per his wishes. His face book page has started flooding with messages over his sad departure. His demise is indeed a loss of a soldier fighting for the community as well as humanity as a whole.